Step up the glitz! 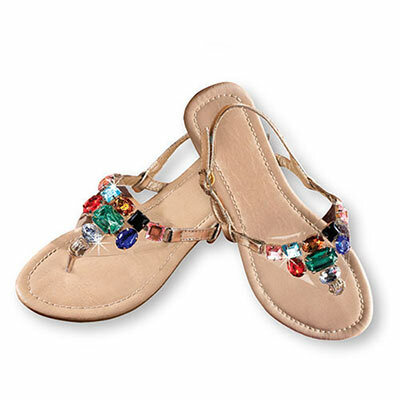 Glamorous Jewelled Gold faux leather sandals have a clear vamp encrusted with fun, flashy, faux jewels. Adjustable heel strap for a comfortable fit. Imported. Available in whole sizes. Hurry! Quantities are limited!